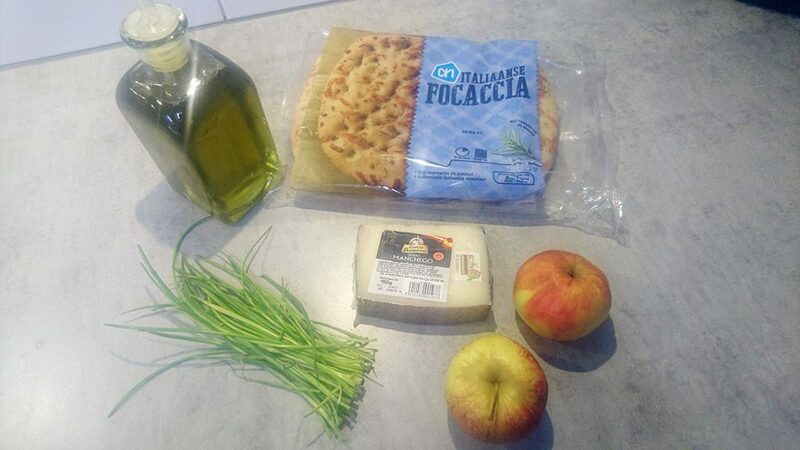 BAKE the foccacia in the oven if it has not already been pre-baked. FOLLOW package instructions. FINELY slice fresh chives and slice the baked foccacia into squares. CORE and slice the apples into wedges. SLICE the manchego cheese into square and thin pieces. HEAT up the griddle pan as hot as possible. BRUSH the bread squares on both sides using olive oil. GRILL the square bread until a grill pattern is visible. USE a set of meat tongs for easy rotation. REMOVE the grilled bread from the griddle pan. 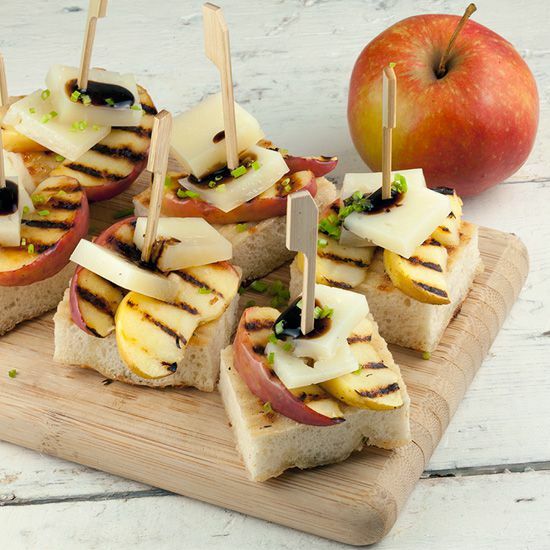 GRILL the apple wedges the same way the bread has been grilled, then turn off the heat. 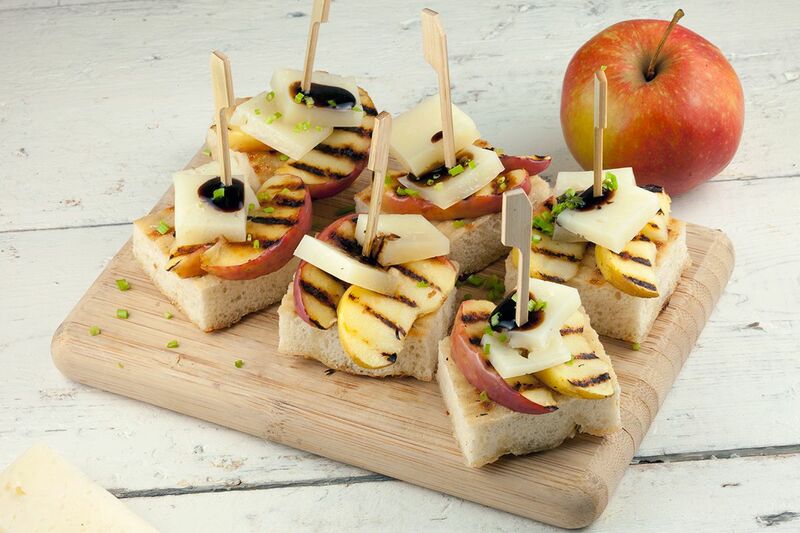 FINISH up the apple and manchego crostini by adding 2 grilled apple wedges on top of a piece of bread. ADD 2 slices manchego and pierce the middle with a wooden skewer. 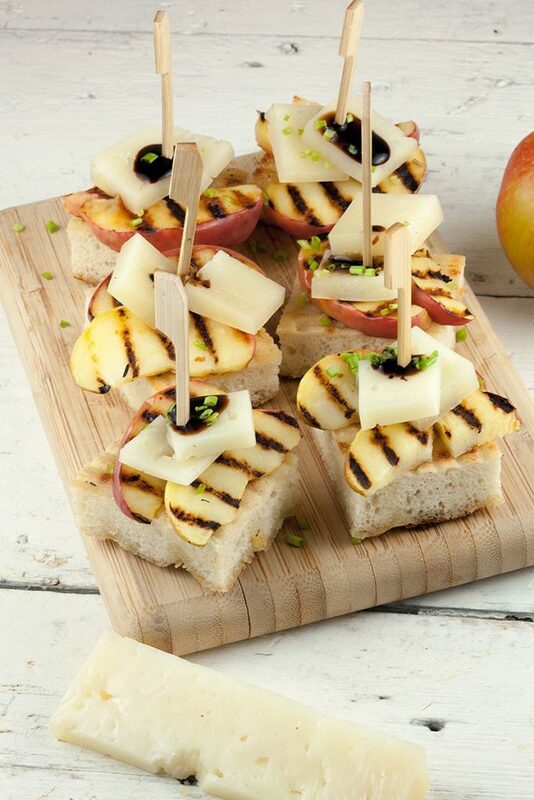 GARNISH the apple and manchego crostini with chives and optionally a few drops of balsamic crème. Enjoy! The grilled apples look great.